It is important that you do not forget to allocate tax liability during divorce. There are many distribution of assets that result in tax consequences. Those tax consequences should be considered during equitable distribution so that a true equitable distribution is reached. There are also tax benefits to consider during a divorce and cases involving children. To “tax affect” means to reduce the value of an asset by its tax consequences. The Courts throughout the United States have varying rulings. Some courts say that potential tax liability may be considered when valuing marital assets but only where a taxable event has actually occurred or is certain to occur within a time frame that can be reasonably predicted. Those same courts reason that because a party receiving an asset may continue to hold all or part of the asset for any length of time, the court is deprived of the ability to reasonably predict future tax liability because the tax rates constantly change. However, Florida courts have reasoned that one party should not be charged with the full value of an asset that is burdened with an inevitable payment of taxes, regardless of how remotely that burden may be. Vaccaro v. Vaccaro, 677 So.2d 918 (Fla. 5th DCA 1996). what would happen in a hypothetical sales transaction at the existing time that it exchanges hands between a willing buyer and a willing seller with clean hands? That fair market value test is applied using existing tax liability according to the date of valuing the asset. Here is a list of assets which tax consequences should be considered during equitable distribution. This list is in no way conclusive and throughout time is expected to expand. Each of those assets have their own unique tax consequence to consider. Real property tax should not only be considered when equitably dividing assets but also when determining parties’ needs and abilities when calculating alimony. Business tax consequence are especially important because businesses that are subject to capital gains tax are entitled to a dollar for dollar discount from the value of the corporation. Retirement accounts, such as an IRA, that have deferred tax liability and are not taxed until the money is received cannot be equitably divided without considering that future tax liability. It is important to divide “in kind” brokerage accounts because it would not fair to give half to one spouse that has a low basis of return versus the other spouse getting the half that has a high basis of return, especially when some of the returns can be subject to capital gains tax. Remember equitable means fairness not seemingly equal on the surface. Can the court reduce the value of assets for potential tax consequences, no matter how certain or uncertain they may be? Considering only tax consequences that were imminently to be incurred was the standard under the Imminent Sale Doctrine that is now a time of the past. It is important to present the tax consequences no matter whether the party will imminently incur the tax consequences. There is no requirement that the tax consequences be imminent in order for them to be considered by the court. While a court should ordinarily consider the tax consequences in the evaluation of marital assets, a court will not be faulted for not considering the tax consequences if counsel for the parties neglect to present evidence on the subject. Oftentimes attorneys will enlist the assistance of experts to testify and present evidence as to the fair market value which presumes a sale of an asset and considers the tax liability according the date the asset is valued. It could be malpractice if the attorney fails to consider the tax consequences and/or present evidence of same to the court. Alternatives to Immediately Tax Effecting Assets. The only viable option to not immediately tax effecting an asset during a divorce would be to require a partition of that asset. A partition is an action by which a party seeks the court’s assistance in forcing the sale of an asset. Partitions must be specifically pled for and are subject to statutory requirements. By doing a partition, you would then equitably divide any loss or profit realized as a result of the partition. Upon filing of taxes, both parties would equally share in the liability/claim. Even if you wanted to do an unequal distribution of assets to avoid having to do a full tax consequence consideration, you need some idea of what the tax liability would be. How else would you be able to ensure your division of assets is equitable? Without some realistic idea of what the tax liability would be on your assets, it would be hard to determine how unequal of a distribution would be needed to have an equitable distribution. Therefore, your safest route is to consider the tax consequences if you are not pursuing a partition of an asset. According to the IRS Code, the parent who exercises majority time with the child(ren) is entitled to claim the child(ren) as a deduction on his/her taxes so long as the child(ren) may be claimed. If a parent has majority time sharing and that parent does not want to give up his/her right to the dependency tax exemption then it is not worth fighting over in court except on a few limited circumstances. Often times parties will agree to share and/or alternate the tax deduction for the child(ren) i.e. Mother in even years and Father in odd years or Mother gets to claim one child and Father gets to claim one child. Unless there are some extenuating circumstances, if a parent who has majority time sharing with the child(ren) does not want to share in the dependency exemption, then it is likely that the dependency exemption will not be shared. So if it is important to you and you are not the parent with majority time sharing, your best chance at getting to share in the dependency exemption is to get it by agreement. Some extenuating circumstances in which a court will allow the parties to share in the dependency exemption or grant it to the parent who does not have majority time sharing with the child(ren) over the objection of the parent who does have majority time sharing are as follows: non local parents where travel expenses are incurred for the parents to see the child(ren), and as a sanction for nonpayment of financial obligations on behalf of children. The court wants parents to have the ability to carry out time sharing schedules in the event of a nonlocal time sharing plan. Often times, the only way that is possible is by granting the nonlocal parent the tax deduction to be able to afford the travel expenses, i.e. plane tickets. A court will often use dependency exemption shifting as a sanction for a parent failing to pay expenses on behalf of the child(ren), i.e. child support, health insurance, uncovered expenses, extracurricular activities, etc. People often time get confused between Dependency Exemption and Child Care Credit. Dependency exemption is one given for a parent supporting the child in home the majority of the time (unless otherwise negotiated and allocated as specified above). Child Care credit is provided to give parents assistance with paying for child care i.e. daycare, before and after school care, summer care. Just because you have been granted the dependency exemption within the divorce and or paternity case does not mean you have the right to claim the child care credit as well. The parent who actually pays for the child care is the one who qualifies to claim the child care credit. If both parents pay for child care than each parent can claim the amount they pay himself/herself. While equitable distribution in Florida does not necessary mean equal, if you want as fair of a settlement as possible for your divorce, ensure that you take the tax consequences into consideration before signing any agreement. 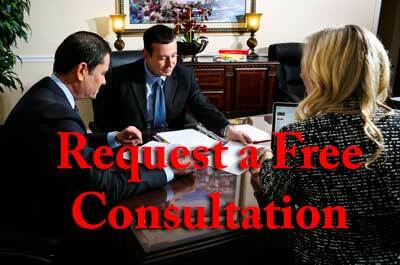 Also ensure that your Attorney is knowledgeable enough in the area of taxes to properly assist you. Here at Ayo and Iken PLC all our attorneys are knowledgeable and able protect your rights when it comes to tax consequences in divorce and cases involving children! Mr. Moyer handled my divorce with empathy and professionalism. His advice was reasonable and led to a quick and fair resolution. He clearly has a lot of experience and takes the time to answer all questions thoroughly. His rates were reasonable and there was no questionable billing. Highly recommend.